How to add CSS bubbles in a post ? Here is an example of bubbleI am the bubble!. If you pass the mouse over the underlined text, the bubble appears. These styles may be customized to your needs. For instance, to change the size and the color of the bubble, you just have to edit the following property in the style of the bubble itself: width; height; background-color;. Here is an <span class="help-needed">example of bubble</span>. 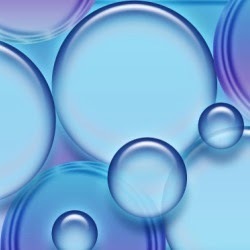 <span class="help-bubble100">I am the bubble!</span></span>. Basically, i like anything when it comes creative design to make my website more attractive. I like the idea of bubbles, surly i am going to try this. Good and Informative Article. Carry On. Thanks for sharing. A wonderful tutorial. That's is very nice bubbles design in personal website pages or post with background level or any other place but is very good. I Will try, I hope It is perfect suit in my website Thanks for admin to share it.